I spent a lot of this weekend crying, mostly tears of joy and remembrance. But each occasion drove a single point or realization home deeper within me. What we as photographers do, professional or amateur, matters. It matters greatly and touches people on many different levels. Sometimes, in ways we may never know. Saturday, Steve Chastain came into the store and we got to have a nice long visit. He was sharing with me a story about his mentor in Australia. Steve said that normally this Master Photographer is not a very emotional guy, but he sent Steve a picture and this story to go along with it. A young lady had requested that he take portraits of her grandfather, but they had to be sneaky about it because her grandfather did not want to have his picture taken. Her grandfather was a sheep farmer and had a faithful companion in his sheep dog, so they worked under the ruse of photographing the dog. They were outside near the barn, her grandfather seated just outside the door, when the photographer asked the farmer if he could get the sheep dog to sit still. He did as requested, having the dog come sit at his feet looking up at him. What he didn’t know was at that moment, the photographer captured the perfect portrait for the farmer’s granddaughter. In a beautiful light and a surrounding that embodied who he was, sat a man looking down at his dog. The farmer has since passed away and his dog roams around forlorn missing his master, but his granddaughter will forever have that image and will not only be able to hold on to that memory, but pass it down to future generations. So, I’m paraphrasing this story as Steve told it to me and I hope I got most of the details. But, seriously, I stood at the counter and cried as he was relaying the telling of this to me. 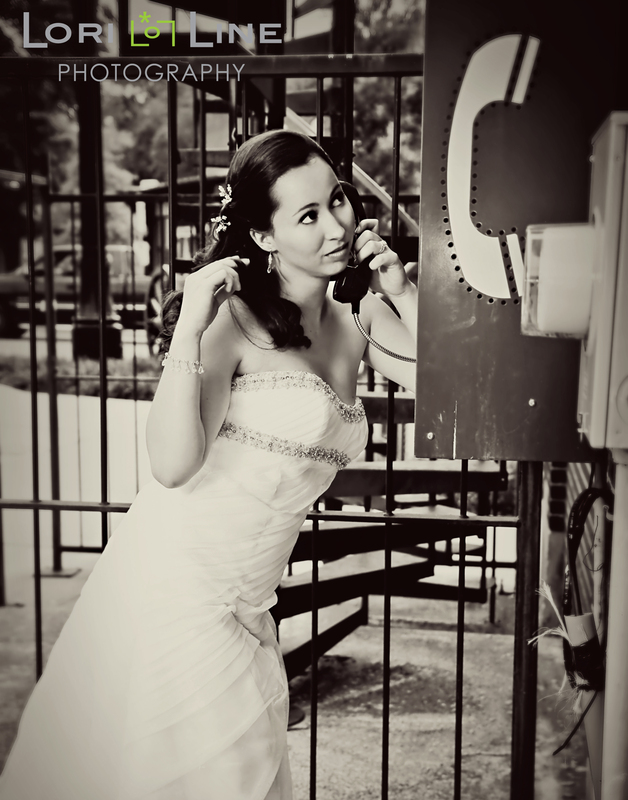 Then, a little while later, a friend of mine came in to discuss some print options from her wedding pictures. In our conversation, I told her that I cried so hard when she was dancing with her grandfather that I almost had to put my camera down. I actually have pictures of her crying while she was dancing with her grandfather. That made everyone cry and would have been enough to do me in, but I couldn’t help but think how much I would love to be able to dance with my grandfather at my wedding except that he’s been gone for 13 years. So, through my tears, I was determined to get a good shot of this event because I knew that it would be precious to her one day. Just talking to her about it, I cried again. Saturday, August 28th, also happened to be the 102nd birthday of my sweet grandmother. She is still healthy and gets around quite well for her age, but her memory is slipping more and more each day. Today, they are burying her younger sister who passed away two weeks shy of her 99th birthday. We are so fortunate in that for some reason, she has lots of pictures from when they were younger. Most of them were well labeled, so we know who the people in them are for the most part. But we don’t know the stories around them, what was going on at the time they were taken. Even though we still have her with us, she doesn’t remember. I wish had I sat down with her years ago and asked her about these stories so I could have recorded them. However, this has given me more conviction to record the stories of my own pictures, because someday, it’s likely that I’ll forget what was happening as well. It’s also a little selfish on my part in that I feel I’ve worked too hard to create and preserve these memories to let them end up in a box or an album for future generations to wonder who those people were or what they were doing. So, that’s my soapbox for scrapbooking! And finally, the last connection to this story happened last week. We are trying to install some new technology in the lab and were running into roadblocks, or better, things that I didn’t quite understand and was having to learn by phone. It was one of those days when I hadn’t eaten, my blood sugar was rapidly declining, and I was frustrated. Not the best state of mind to concentrate on technological matters! So, I took a break and went to lunch. I was looking for a table at Panera, when I ran into my dear, sweet friend Lisa, who had been my small group leader at church about 10 years ago. She was having lunch with another lady to whom she introduced me. Now, I had been crying out of frustration and was a little embarrassed to have run into anyone I knew because I was sure I looked like some kind of bleary-eyed raccoon. They seemed not to notice, and the way the Lisa introduced me to her friend was by telling a story about a picture I had taken about 10 years ago. I was not a “professional” photographer back then, but was very passionate about the craft and I was taking a black and white darkroom class at the time. We had some kind of small group outing and I was using everyone as subjects for my class. 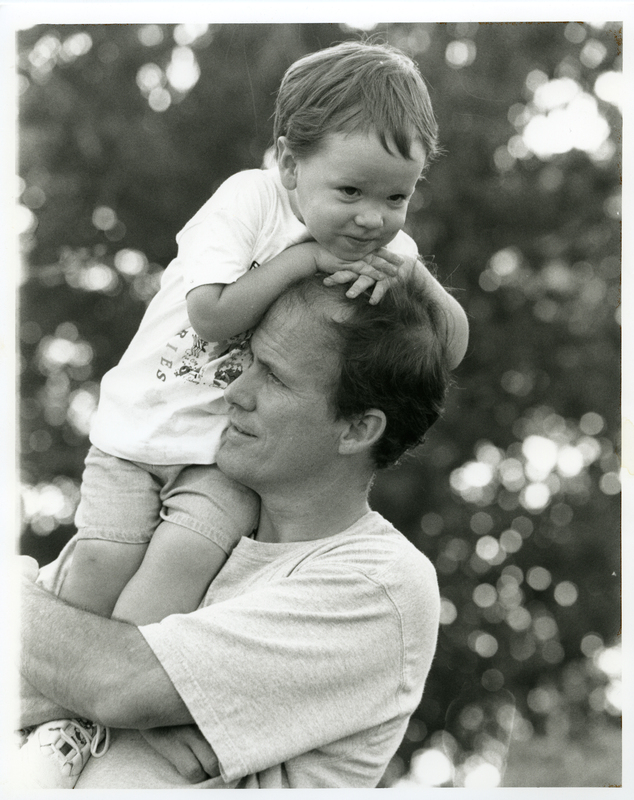 It was then that I got this shot of Lisa’s husband and then 3-4 year old son. It’s not tack sharp, it wouldn’t win any PPA awards, and to most people, they might look at it and think, “oh, that’s sweet”, but to Lisa, it’s her favorite picture of her son. That’s what she told her friend. She had no idea how she turned my day around with that statement. It just made me realize that what we do is important, it matters. I mean, I know that intellectually, but sometimes I let the details overwhelm me and lose sight of the big picture. I love it when I’m reminded of what matters. So, if you are photographer and you are reading this, I hope that maybe this reignited your fire if it had gone dim. If you don’t consider yourself a “photographer” but you own a camera, I hope this spurs you to be mindful of recording the everyday events and people in your life. They don’t have to be award winning images, just reflections that will keep your memories alive. This week we are throwing in something a little fun! 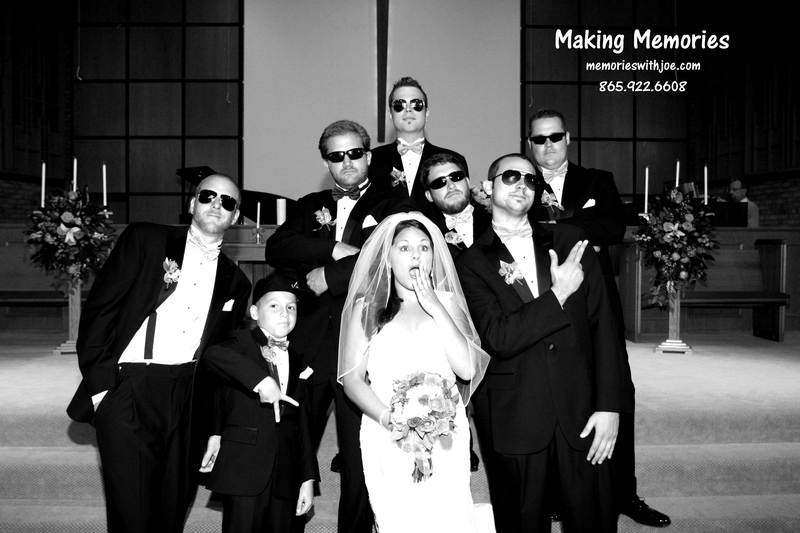 What is shooting a wedding without a few goofy pictures to capture the personalities of the bridal party? Well, Joe Pratt of Making Memories thought the same thing! Here is a photo of a group that certainly looks like they know how to have a good time! Congratulations Joe for being this week’s Pro Print of the Week winner! We are entering a new month and can’t wait to see all the winners we will have in the coming weeks! So send in those print orders, you may be our next winner!!! We just finished our third week of Pro Print of the Week! This has become much more fun for us than we had imagined! I hope you all are enjoying seeing a little piece of all of the great prints we get to see everyday at the lab! Congrats to this weeks winner, Lori Line Photography! We love the uniqueness of this bridal portrait! We are currently searching for our next winner so keep sending in your orders!!! Happy shooting! The competition is going strong! We are happy to announce the winner of f/32 Pro Print of the Week for 8.14 is Memories Portraits! 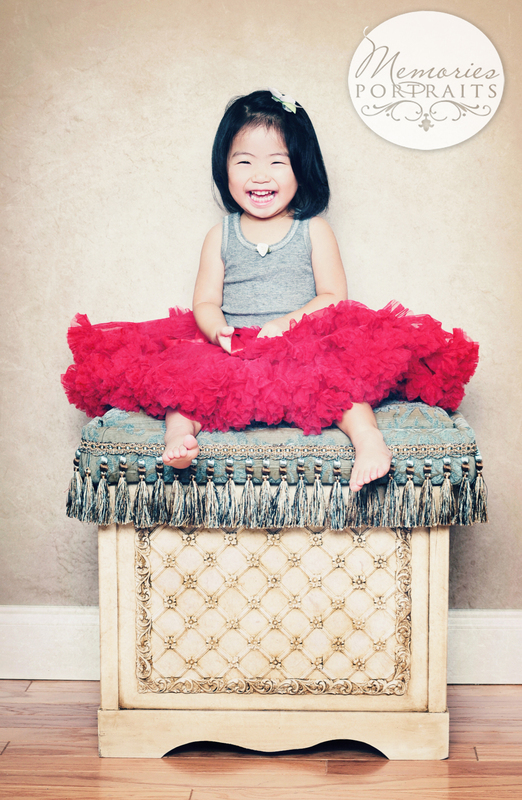 This precious little girl was surely a joy to photograph! Keep sending in those prints! We are already looking for our next winner! Happy shooting everyone! f/32 is proud to announce our first Pro Print of the Week winner! Congratulations Jason Davis of J. Davis Photography for your excellent work! Keep sending those orders! You too can be an f/32 Pro Print of the Week winner. Just send us your print orders, it is that simple! Our staff looks at each order that comes to the lab and at the end of every week we will choose our favorite print and promote you and your work on our blog and facebook page! Happy shooting everyone! We look forward to seeing your prints! The change from Express Photo Center to f/32 Photo has our customers buzzing with questions! This is all very exciting for us and we hope it is exciting for you as well! We are doing our best to answer your questions as detailed as we can and supply you with all of the information that we have to offer! One major buzz currently is our request for proper documents from our professional photographers to qualify for pro pricing. Many of you have asked about the specifics of these documents and how to acquire them. If that is you, then this blog should help! We at f/32 Photo have a goal to be the best professional print lab we can be and part of that is offering as much as we can to our pro photographers. The pricing scale is significantly lower for those professionals that have a sales and use tax blanket certificate of resale and/or business license on file with us. It is a fairly simple and timely process. One of the most popular questions is “when do I need a business license?“. This link will explain in detail the circumstances in which you are required to obtain a business license. The other popular question is “where do I get the form and file?”. If doing business in the city of Knoxville you must apply with both the city and the county. I hope that this information helps! If you have any further questions please feel free to contact f/32 Photo, we will be happy to help! Don’t forget to become a fan on facebook for lots of exciting updates on what is to come at f/32!